3:03 am and I'm finally getting settled in for bed. It has been a rough week. I have Meneir's (or however the hec you spell it). It's a type of inner ear imbalance. It doesn't flare up often, but when it does it bites the big one!! Wind, sinuses, and ear infections are usual triggers. I seem to be in denial that I need to cover my ears when outside, especially here in Amarillo with the constant wind. So I had a few days of things jumping around on me and having the "whirlybirds" as my mom calls it. Finally get over it only to come down with the tummy virus that has been going around! Double yuck!! As a result, I did not get over to Aunt Denise's but Monday and Tuesday. I'm dragging the guys out the tomorrow to give it a real good cleaning before Thanksgiving. She is having it at her house, but we (the family) are all making dishes and bringing them over. Then Seb will be spending the night with his grandpa, and Ty will be having a friend spend the night with him. Sunday our house will have to be cleaned. I have very little laundry to do. I don't do much, if any, of the weekly housework anymore due to my back. So guess what that means?? Yep...STITCH time!! I've stitched each evening and will try to post pics tomorrow. I've gotten all but the DAY of the birth on the birth record as we are still waiting on Gavin to make an appearance. I finished 3 more Christmas Ornies and am halfway through with a 4th. Yippee!!! Okay, correction, they aren't FINISHED finished. I really don't like the board I got to mount them on, but can't really afford to buy different materials at the moment. I'm going to have to google and find some different ways to finish finish them. I've become so addicted to stitching! I bought a Cross Stitch magazine the other night and have fallen in love with many of the patterns. I also finally got to visit my LNS. She doesn't have as much cross stitch stuff as that seems to be a rare hobby here. It is a teeny tiny store too. She had some pattern books for 10 cents and 50 cents. Of course I got 2 Christmas themed patterns, 3 angel patterns and a Celtic pattern. Today when I was hugging the porcelain god, I printed off some free patterns I found on-line. So many things I want to cross stitch and so little time!! Now I am off to read and hopefully to fall asleep! Can't wait to see the finished birth announcement! 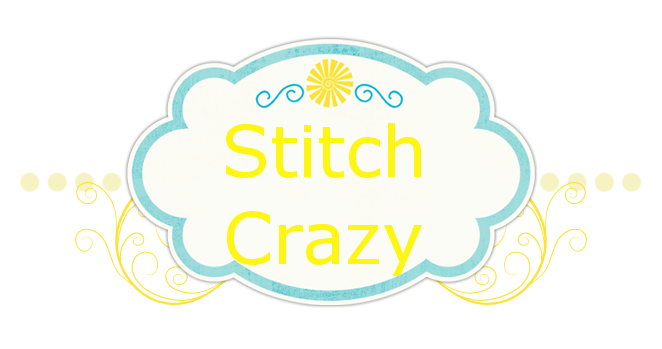 So happy to hear how much you're enjoying cross stitch....you'll be starting up the "big big" projects in no time!